The Welsh Local Government Association, together with local authorities in Wales pressed for many years for the Housing Revenue Account subsidy system to be brought to an end. In June 2013 the Welsh Government and the UK Treasury finally reached agreement on the terms under which the eleven local authorities in Wales with housing stock could exit from the HRA subsidy system and become self-financing. 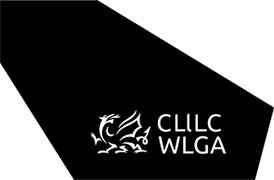 In May 2014 the Welsh Government consulted with the eleven Welsh local authorities with housing stock and the WLGA on the distribution of the settlement figure and the borrowing cap. In April 2015 the eleven Welsh local authorities with housing stock became self-financing. In October 2018, the UK Government announced that the HRA borrowing caps would be lifted for local authorities. Welsh local authorities are currently discussing with Welsh Government the most appropriate method to bring existing voluntary agreements to an end which will remove the HRA borrowing caps in Wales.